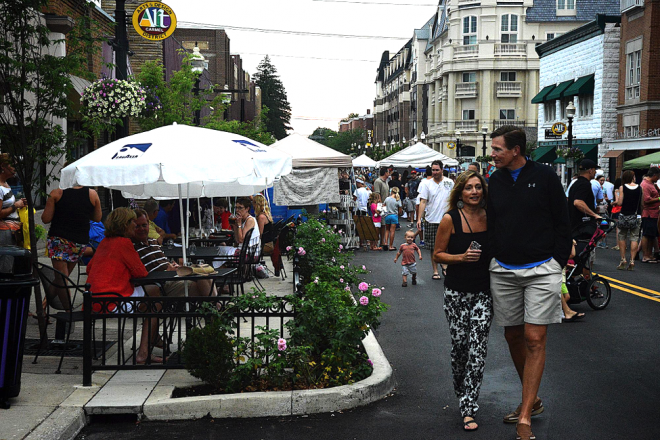 The city of Carmel, Indiana, is a national leader in attracting new businesses and residents by fostering a vibrant art-scene, installing innovative transportation solutions, and promoting dense, walkable, mixed-use development. The Mayor of Carmel, Jim Brainard, stopped by PPS to showcase some of the projects, programs, and policies that have made Carmel one of the most livable cities in the United States. 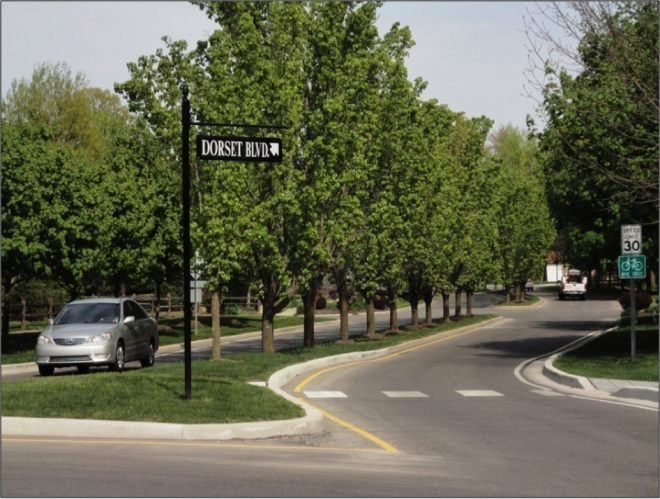 Carmel has pursued an aggressive roundabout program since the late 1990s. 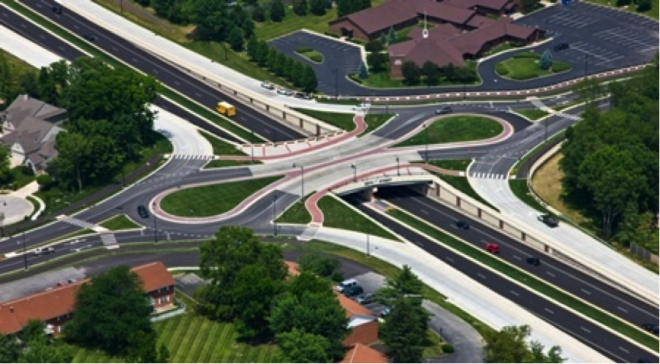 So far the city has replaced 93 signal-controlled intersections with modern roundabouts, giving it more roundabouts than any other city in the US. The roundabouts have been installed at all types of intersections, from low volume residential streets to busy highway interchanges. Not only has this improved safety for all road users and reduced delays and noise and air pollution, but the city estimates that it saves Carmel’s drivers 2.5 million gallons of gas per year! The installation of roundabouts has enabled the city to reduce the number of lanes on many of its roads. This has freed up street space for wider sidewalks, tree-lined medians, and separate bike paths throughout the city. Mayor Brainard recognized early on the tolls that typical suburban development would take on the city’s balance sheet in the long-term. 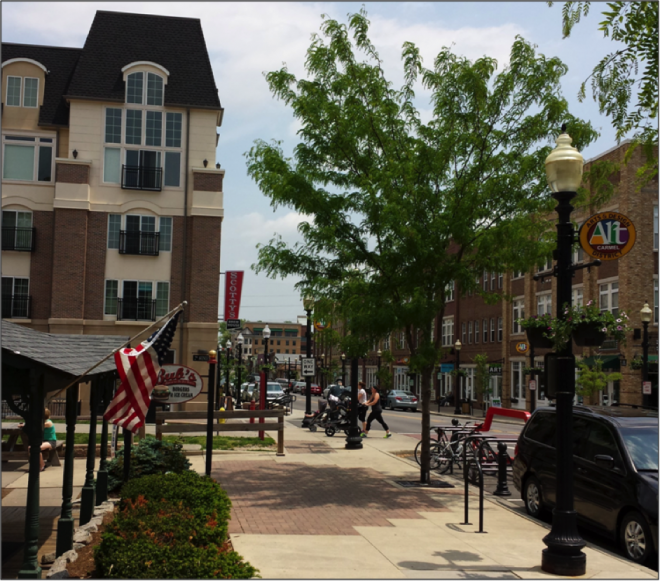 The city has employed overlay zoning and established many public-private partnerships to encourage high density, mixed-use redevelopment of the downtown. 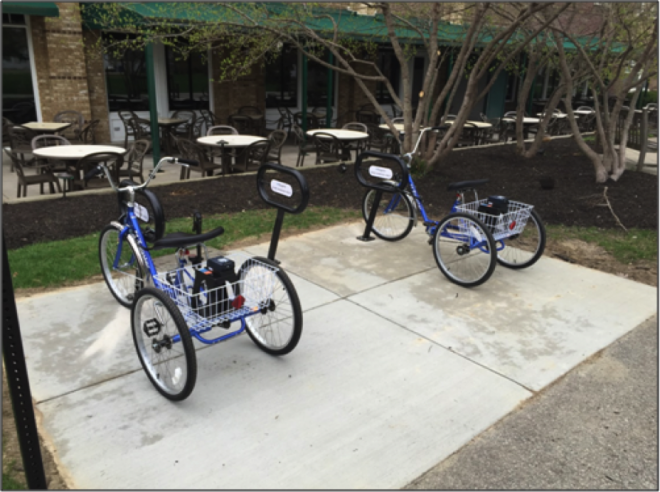 Carmel is a bronze level bicycle-friendly community, and even has super easy-to-ride tricycles included in its bike-share fleet. The city also completed the Monon Trail, an 18-mile rail trail that connects Carmel to downtown Indianapolis and its famous Cultural Trail. 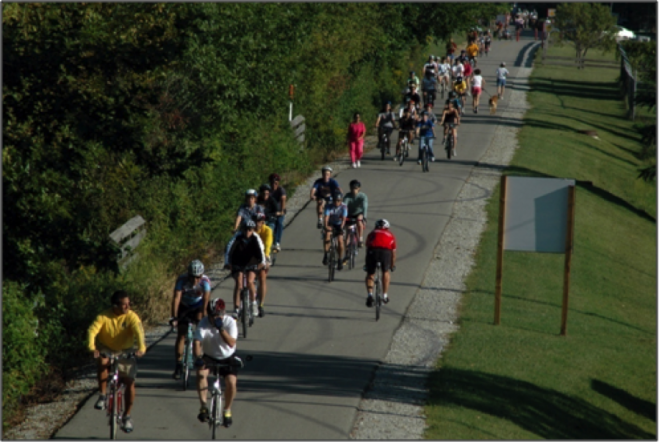 On a nice day, an estimated 12,000 people take advantage of the Monon Trail. 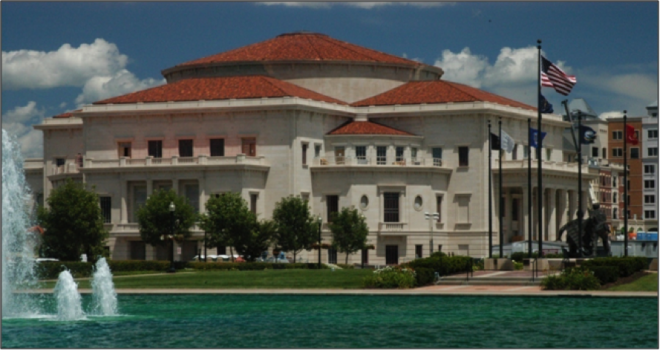 The city has invested heavily in the arts, most notably with the creation of the Palladium, a world class performing arts center. 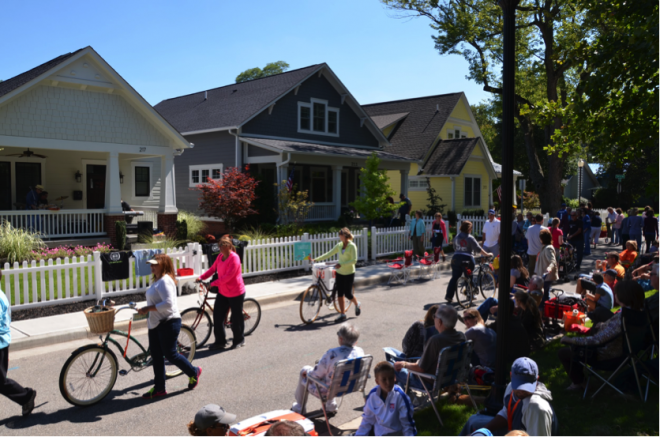 The city also supports numerous community events, such as the Gazebo Concert Series, movies in West Park, and in September 2014, the city held its first annual PorchFest - which brought together 5,000 visitors to enjoy live music from 43 bands on 20 porches throughout the city.